Today’s insight journey led me to the idea that challenges are going to surface throughout our lives. Once we make it through a challenging time we find ourselves breathing easier, relaxing a bit more, and enjoying the ease of seemingly carefree days. 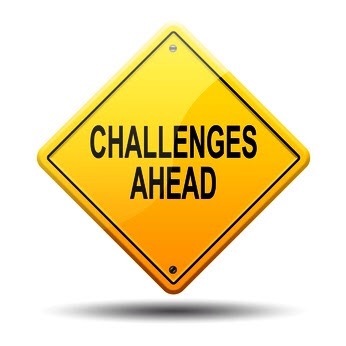 But as is the case with us, challenges are bound to surface throughout our lives. That is simply a given. The good thing about knowing this in advance, though, is that we can prepare ourselves for the challenging times that will come should we choose to do so. It is our choice. Now, we may not know the details of what exactly will come our way, but based on what we have come to know about life, we know that challenges are going to surface. Why exactly have I chosen to cover this topic right now? I have chosen to cover this topic right now because I have noticed, especially recently, that we as human beings tend to become so caught up in whatever challenge that we are dealing with in any given moment, a behavior that extends itself to the time period that immediately follows the occurrence of that challenge — the moment when the challenging situation is resolved. At that point we allow ourselves to become so focused on the fact that that challenge is now behind us that we begin to relax into the times of ease that follow as though that one challenge is the only challenge that we will ever experience in life. And then when the next challenge surfaces we are so caught off guard that the new challenge practically knocks us out on day one. All because we did not prepare ourselves and take the necessary precautions.